With Bradley Wiggins as the stand out favourite for the men?s individual pursuit at the Olympics, it?s hard to believe that the event is causing Team GB Head Coach Shane Sutton sleepless nights. The British squad qualified two places for the individual pursuit here in Beijing, one of which Wiggins will take, but with less than two days to go before the event, Sutton and Performance Director Dave Brailsford still don?t know who will fill that second spot. ?It?s been a real headache for us. I was lying in bed at 2 o?clock last night thinking about it!? Sutton said after today?s track training session in the Lao Shan velodrome. ?We gave the second women?s sprint place back but we took this on the belief that Stevey Cummings would ride, but he?s now concentrating on the road.? Now they have the spot they believe it wouldn?t be in the Olympic spirit of things to not put a rider in the race; the question is, who? ?We?ll talk to Geraint [Thomas] again, but it could take the edge off him for the team pursuit.? Thomas recently rode a world class time in training for the individual pursuit, and could even challenge for a medal, but the coaching staff don?t want to jeopardise the team pursuit that Thomas would have to ride the following day if he qualified in the top eight. This led to the idea of giving Mark Cavendish a ride in the pursuit, not an event he?s ever specialised in. ?Cav could step up and ride, but the problem is Mark?s a big star now and the eyes of the world will be on him, and they might not understand why he doesn?t win it.? Sutton explained. ?Cav?s a born winner, so why would he put himself up there and do a 4:20 when Brad is doing 4.15?s? It?s a real dilemma because the whole nation is going to see it.? 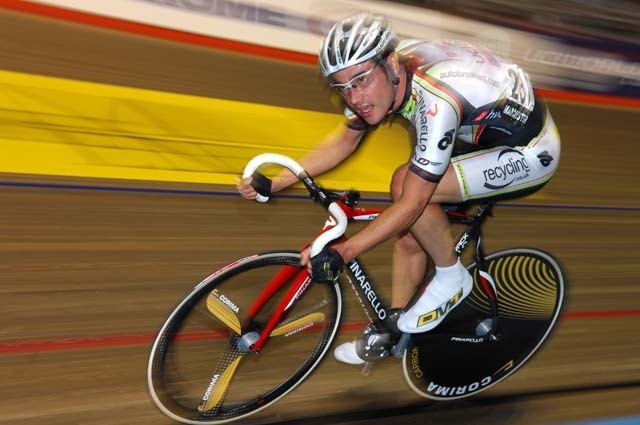 Neither would the event have any real benefit for Cavendish?s ride in the Madison as the two are four days apart. 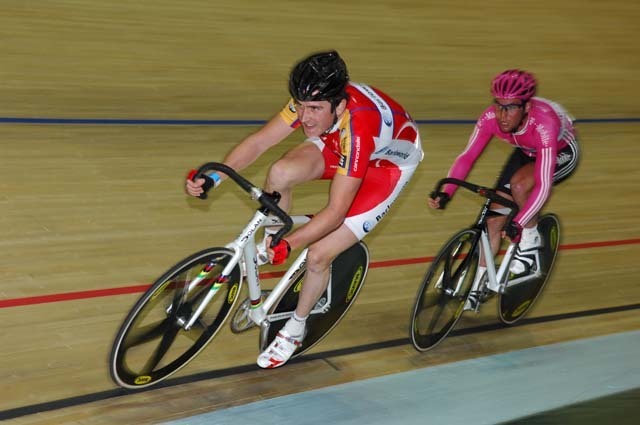 Then there is young Steven Burke, who is also in the frame to ride the qualifying round of the team pursuit. But BC may decide it’s asking too much to put him in the individual pursuit qualifying round too. The third capable rider is Chris Newton, but the pursuit falls on the same day as the Points race, ruling him out. The dilemma can?t be darkening the mood in the camp too much though, ?Put Emma Pooley in,? women?s endurance coach Dan Hunt chipped in as he walked past. ?The way she?s going she could do a ride!? With just two days to go until the qualifying round of the individual pursuit, British Cycling has a big selection headache. Bradley Wiggins will defend his Olympic title over 4,000 metres, but BC would come under fire for not taking up the second place and denying a rider from another country a space. It?s not as simple as that though. Mark Cavendish has ruled himself out and Steve Cummings has just ridden two demanding road events. 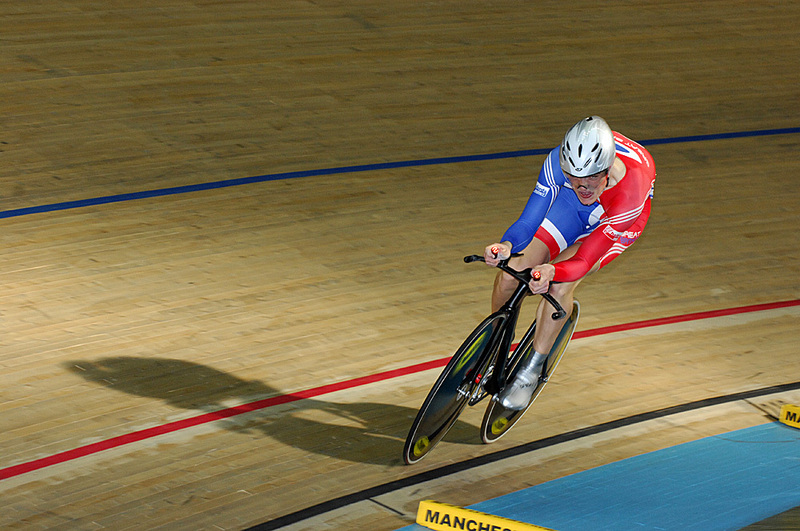 The 20-year-old has come on leaps and bounds this year and is already a key part of the team pursuit squad. It?s possible he will stand in for Wiggins in the qualifying round of the team pursuit. Physically it?s possible but is it putting too much pressure on a young, inexperienced rider to do the individual as well? It?s a long time since Newton did an individual pursuit and he?s not in the team pursuit picture these days. He?s in Beijing for the points race, a title he won at the 2002 Worlds. The points race rounds and the individual pursuit are on the Saturday, qualifying is on Friday. If he were to ride the individual pursuit would he make the top eight to advance to the first round? Could ride just to fill the place, but it?s not ideal. Has reeled off a 4-17 in training and if that is any indication he could win a medal if the individual pursuit was all his Olympics were about. But it?s not. He is a key part of the team quartet. With only five riders able to ride throughout the competition, only one of Wiggins and Thomas could be rested from the team qualification round. You can?t ask Thomas to deliberately hold back in the individual so he doesn?t qualify.